Cardinal Admits: We Destroyed Files On Pedophiles - Joe.My.God. A top Catholic cardinal admitted Saturday that Church files on priests who sexually abused children were destroyed or never even drawn up, a move which allowed pedophiles to prey on others. 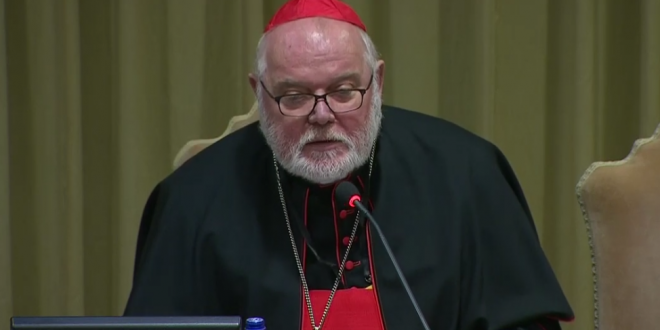 “Files that could have documented the terrible deeds and named those responsible were destroyed, or not even created,” German Cardinal Reinhard Marx told a landmark Vatican summit on tackling pedophilia in the clergy. “Instead of the perpetrators, the victims were regulated and silence imposed on them. The stipulated procedures and processes for the prosecution of offenses were deliberately not complied with, but instead cancelled or overridden,” he said.